ASIANEWS REPORT: The killers promise to "kill more Copts". Bassem Herz Attalhah was killed under the eyes of his brother, who saved himself because his tattoo was hidden by his sleeve. Already in 2010 al Qaeda had promised to clean Sinai from Christians. Cairo (AsiaNews) - Killed because he had a cross tattooed on his wrist. 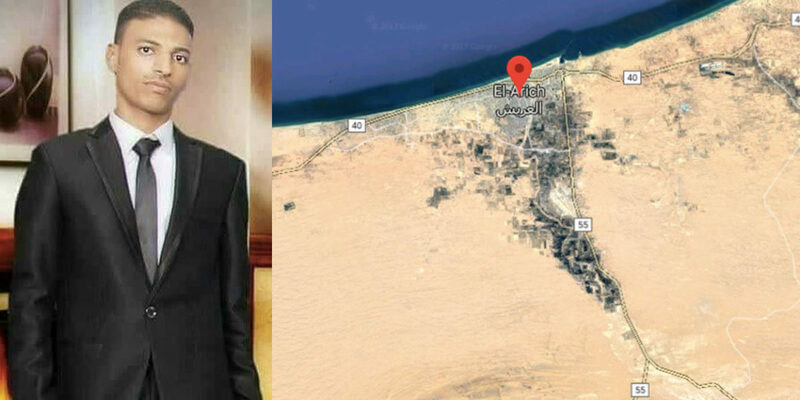 This was the fate of Bassem Herz Attalhah, 27, the latest victim of Islamic extremists belonging to the "Islamic State" in Sinai. This trail of blood seems destined to continue with the terrorists' promise to "kill more Copts". On January 13, Bassem was returning home from work in al-Arish, the capital of Northern Sinai governorate. With him were his brother Osama, 38, and his friend Mohamed. The group was stopped by three young people between 23 and 25 years old, armed but with their face uncovered. "They approached and asked Bassem to show his right wrist, and when they saw the cross tattoo they asked him, 'Are you a Christian? '", says Osama to World Watch Monitor. The cross tattooed on the wrist is a centuries-old tradition of Christians in the region, especially for the Coptic community. The extremists controlled the wrists of the other two. Not knowing that Osama was Bassem's brother and not seeing the tattoo on his sleeve, they believed him Muslim. "Bassem told them I have children," says Osama. "They fired two shots on the ground near my leg and they asked me to leave ... and then they shot Bassem in the head. I could not believe what had happened to my brother. He fell to the ground in front of me and I could not do anything ". Osama concludes his story by remembering that his legs gave in because of the shock as he sought help. Upon hearing the news, the mother of the two was taken to the hospital after fainting. Bassem's phone ended up in the hands of the Islamic militia, who responded to a phone call from Milad Wasfi, a friend who could not believe the news of his death. Before hanging up, Bassem’s killers "said they belonged to the State of Sinai and promised that they would kill more Copts". The Christians of Egypt have been the target of the Islamic terrorists of Sinai for years. Already in 2010, Al Qaeda had threatened the Egyptian Church, accused of holding two Muslim women against their will. Last March, the violence forced hundreds of Coptic families to abandon their homes and lands to al-Arish. Throughout Egypt, attacks on Christians have increased since the 2011 revolution. The last attack took place December 29, when eight faithful were killed in a shootout at the entrance of the church of Mar Mina, about 30 km south from the Egyptian capital.